How to create really smooth lines for your drawing apps on iOS. If you’re creating a drawing or painting app for iOS, you may recall from my recent post discussing coalesced touches a way to increase touch resolution and access intermediate touch locations that may have occurred betweentouchesMoved invocations. 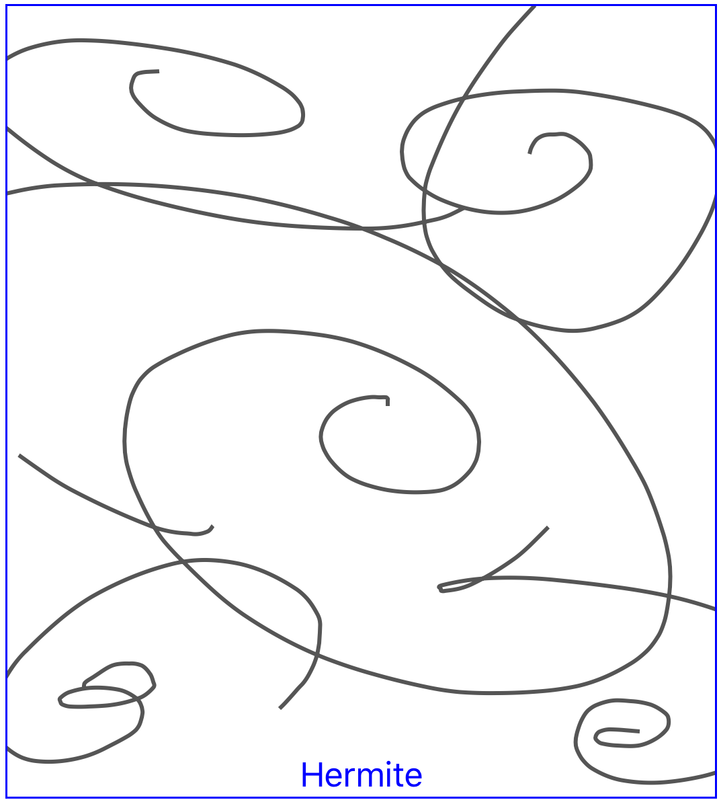 However, if your app simply draws straight lines between each touch location, even the coalesced ones, and your user moves their finger or Pencil quickly, they’ll see their drawing rendered as line sections. 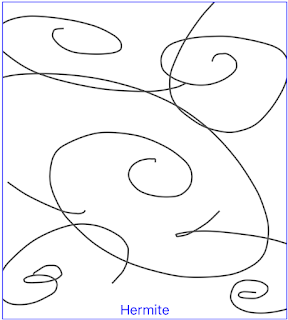 My demo app presents the user with two boxes into either of which they can scribble a drawing, which is mirrored in the other box. 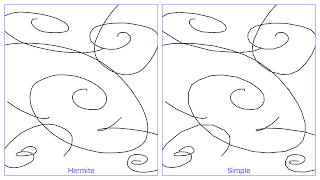 The box on the left renders their drawing using spline interpolation and the box on the right with straight lines for touch location to touch location (albeit with coalesced touched). 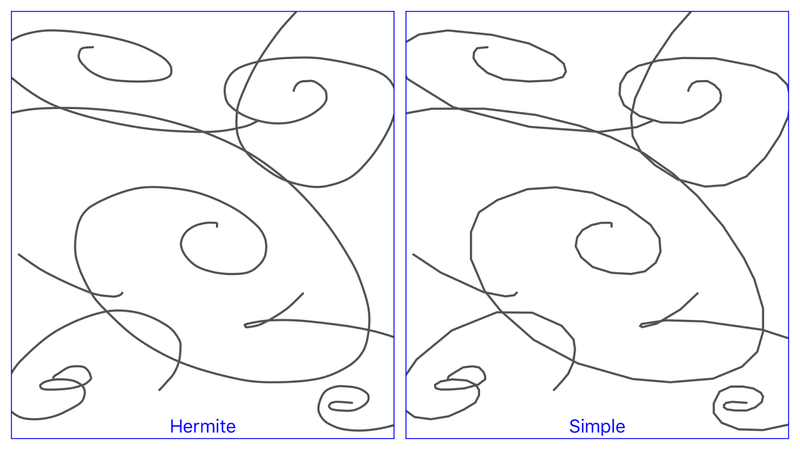 It’s immediately obvious how much nicer the drawing on the left is, appearing as a single curve. Both of the boxes on the screen are sub-classed ScribbleView instances which conform to Scribblable. TheScribbleView class is simply a UIView which contains two additional CAShapeLayer - backgroundLayer for displaying “historical” scribbles and a "working" drawingLayer for displaying the current, in progress scribble. 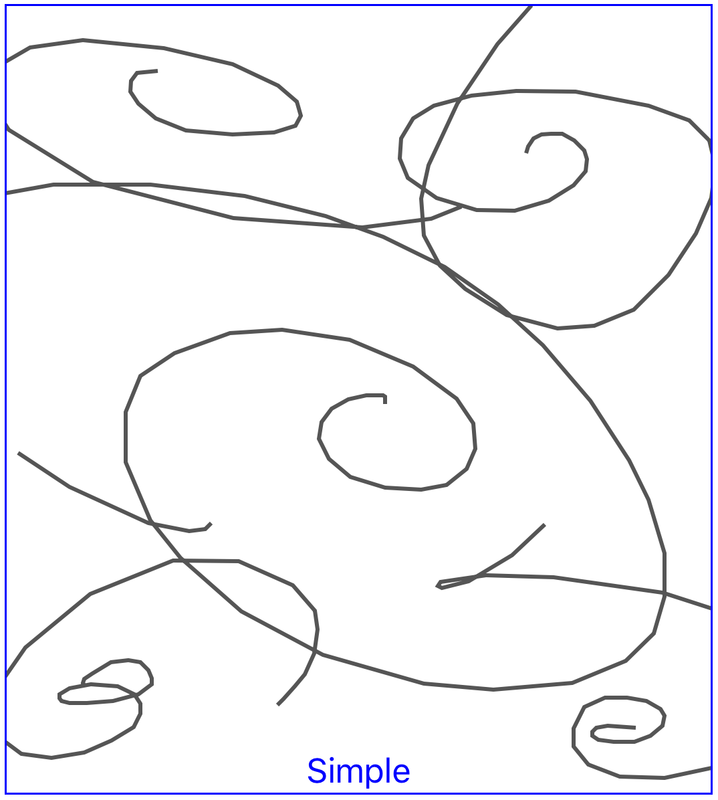 The Scribblable protocol contains three methods invoked at the beginning, during and at the end of a scribble gesture and a method to clear it. The result is, as you can see above, a series of straight lines with the line artefacts looking worse the faster the user moves their finger. The main view controller uses a UIStackView to position the two scribble views either side-by-side in landscape of above and below each other in portrait. With that set, I can use the touch’s locationInView for touchOrigin to apply the same touch information to both views. No matter how fast your code is, there’s a good chance your user’s fingers are faster. If you have a drawing app, smoothly interpolating a user’s gesture rather than just drawing straight lines between each touch location makes their drawings look far more natural and, maybe, closer to the image they had in mind. As always, the source code to this little demo app is available at my GitHub repository here. Enjoy!